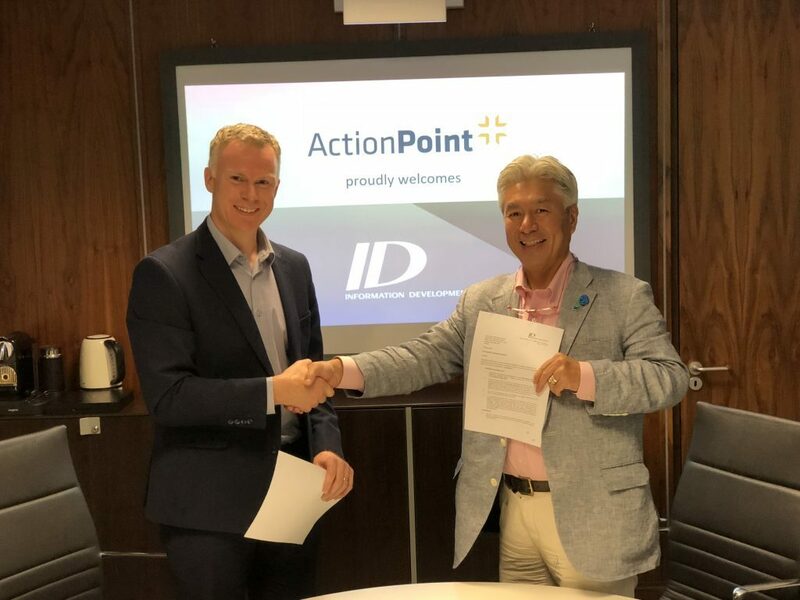 [Limerick, 10/09/2018] Irish Tech Firm ActionPoint have signed a memorandum of understanding with Japanese technology firm INFORMATION DEVELOPMENT CO., Ltd (ID), an IT service management company. ID offer a wide variety of services providing customers with IT solutions in the areas of software, networking, systems and security. Founded in 1969, ID are headquartered in Tokyo and are publicly traded on the Tokyo Stock Exchange with a market cap valuation of almost JPY 20 billion (approximately 147 million Euro). The two companies met in ActionPoint HQ in Limerick on August 30th to officially sign the memorandum of understanding. The memorandum aims to deepen the mutual understanding and cooperative relationship between ActionPoint and ID. Insight delivered to your inbox. Your industry source for custom software development analysis, commentary and learnings. Sign up to Action Point’s newsletter now and stay up to date on all the latest software development & technology news. Please check your email to complete signup. You need innovative, intelligent, hardworking software. But it can be hard to keep up with technology and hard to make the right choices. Here we share as much as we can that might help you get the most from your investments in custom software.